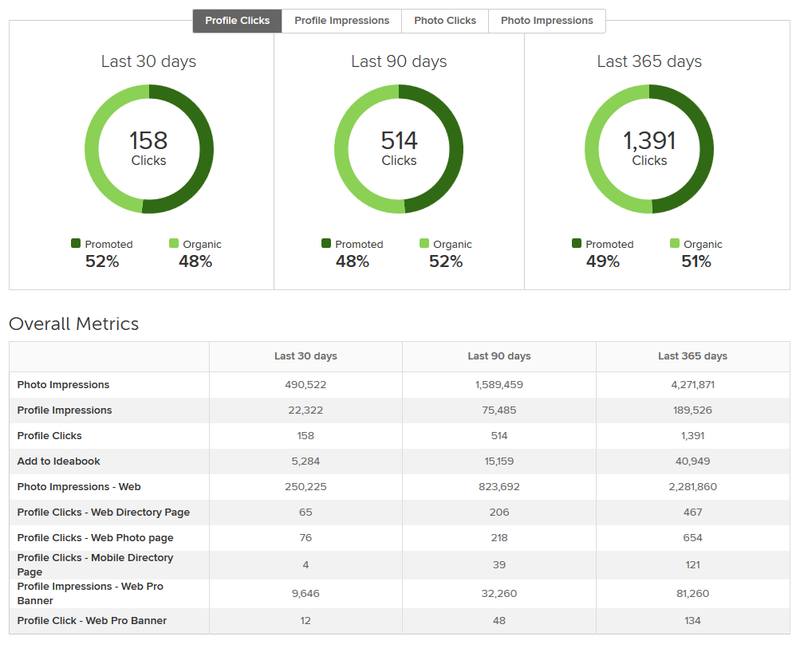 Will Houzz Pro Plus bring in more leads? 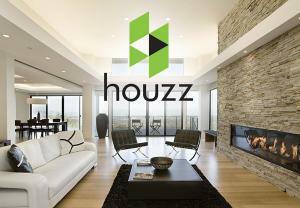 Houzz is an online directory of professionals in the home services industry. In a nutshell, it’s a place for homeowners to find professional’s. An example would be if I was looking to find a contractor to renovate my kitchen. It has also recently gotten into the e-commerce space allowing consumers to buy products- but we’re not talking about that side of the business today. Realistically, why not? It’s free to have a business profile and if you have an opportunity to get a few leads here and there by a free listing, then its definitely worth having a profile page. You will need to invest time in creating your profile and ongoing maintenance and updating of your profile. Millions and millions of people visit Houzz because there is nothing else really like it so if you can capture some business or more traffic to your website from them, why not? It’s almost like Google. Google allows you to get traffic to your website for free using Google My Business and will send traffic to your website if your business is relevant to what they’re searching for, so why wouldn’t you? The thing with directory sites like Houzz is that people are generally in the “just browsing” phase of the search. Looking at reviews, previous jobs, etc. Most leads will not generally come directly from Houzz unless someone is really scoping you out and has you top-of-mind. Again, the free profile is definitely worth it since it will keep you amongst your competitors. SHOULD YOU PAY FOR A PRO + LISTING ON HOUZZ? This is where I am on the other side of the fence. As soon as money comes into play, I need to calculate and see an ROI (return on investment). Houzz does a great job at getting you noticed but the bigger question is- are they sending you leads that you can close? When we look at SEO, I can justify the pricing of an SEO service by calculating how much a lead is worth to a potential client. If a lead is worth $5000 (gross) for a roofer, then if they spend $2000 on SEO, they have already made their money back. If I send them 10 leads a month, then that’s 25x their initial investment- that’s one heck of a return! Now with Houzz, they send you traffic, that’s for sure but how many are actually going to pay you for something? You can see in the below image, all the analytics are about how many times something has been viewed or clicked, nothing that actually talks about conversions. If you’re going to spend at least $1000 a month for decent exposure on a platform, don’t you want to able to track how many customers actually came from that marketing expense? WILL I LOSE BUSINESS BY NOT UPGRADING TO HOUZZ PRO +? If you have the free profile, you are fine as long as you keep it updated. This will keep you relevant in your local market and keep you alongside your competition in terms of visibility on Houzz if someone is in the vetting stage of hiring someone. As long as you can get reviews on your profile and have project images and your profile looks up-to-date, you’re in a better place than most businesses that just create a profile and never visit it again. Think of what else you can spend that $1000 on. If you want to get hot leads for your business, you have to go right where people are searching to generate hot leads. Think of when the Yellow Pages used to be a thing. You would open them up and go to “plumbers” when your toilet was leaking. Then the company that had the full page ad would likely get your business. You can take that budget and run a healthy PPC (pay-per-click) campaign. This will guarantee traffic to your website and likely be people that are in the “ready to buy” category instead of “just browsing”. You can take that budget and run a good Facebook ad campaign. This may not the best for your type of business but can get you some visibility. You can probably triple the traffic to your site with the same budget if your ads are set up properly. You can take that budget and invest it in SEO (search engine optimization) with a reputable Ottawa SEO agency. This would give you the best bang for your buck and will allow you to track any leads that come into your business. You would be investing in your own website rather than Houzz’s to make it faster, healthier and more search engine friendly. Lot’s of business owners get caught up in the hype especially when someone is on the phone trying to sell you the dream- in this case, the dream is tons of exposure on a site that has millions of visitors a month. The downside is, Houzz has that many visitors because they are around the world and, on top of that, visitors to your profile page don’t mean anything unless they are paying you for a job. Marketing has changed tremendously in the past 2 decades. Digital marketing has changed the game for TV, radio, billboards and bench ads. An industry where you could sell on the number of eyeballs on your ad and hope some will eventually remember your brand when it was time to buy (think Coca-Cola). Nowadays, you can track conversions if things are set up properly in the beginning. Traffic to a website doesn’t mean the same it did 10 years ago. It’s the conversions that matter today. Those are the ones that put the money in the bank.